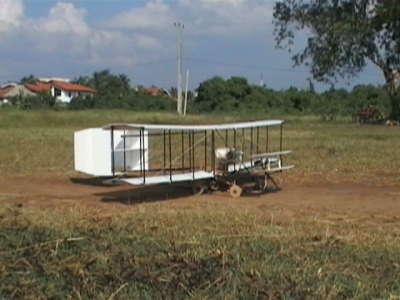 This Model was contructed and succsesfully flown on the 17th. 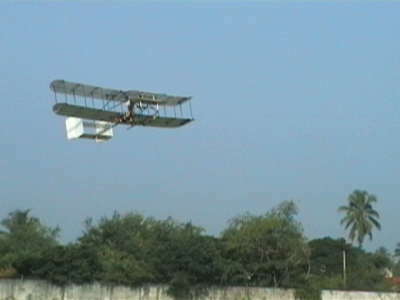 December 2003, to commemorate the Centenary Celibrations of the First Cotrolled Flight by Wright Brothers. The frame was made from carbor fiber tubing. The wings were covered using Expanded Polystyrene. 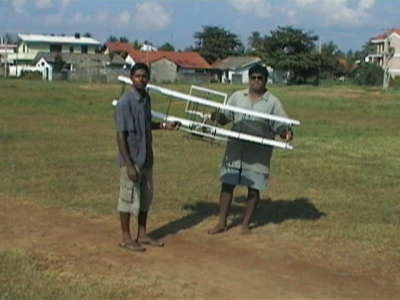 This picture shows my two sons Amith & Collin who built the Model. In the beginning it was almost impossible to fly. After a lot of attempts it was decided to modify the Tail (Rudder) section. And on the 17th. December 2003 it was Airborne. 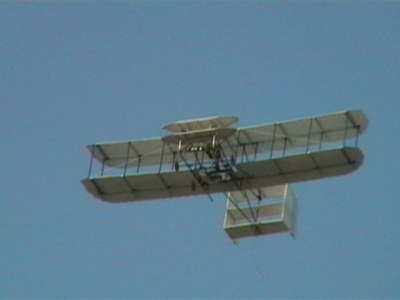 It was really a beautiful sight to watch the Wright Flyer in the sky, even though it was very tricky to fly it. 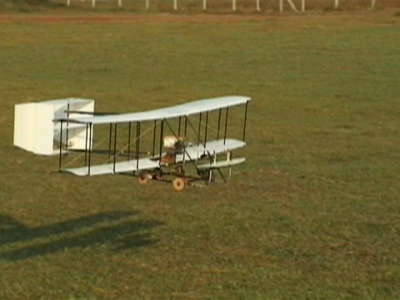 After completing a succsessful flight the Wright Flyer landed safely.